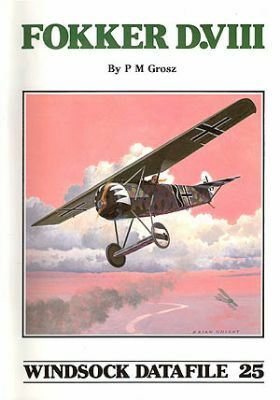 IN this 36 page monograph,Peter M Grosz provides unmatched data on the parasol-winged Fokker E.V and D.VIII fighters of 1918 with 70 archive photos, 21 close-ups and an authentic narrative that is a worthy historical account of this late war fighter. The content is enriched by Ian Stair's 1:48 and 1:72 scale general arrangement drawings that show internal fuselage and wing structures.This book also provides chapter and verse on colours and markings compiled by series editor Ray Rimell ,who also contributes three colour profiles, whilst resident artist Brian Knight brings the 'Flying Razor' to life with a particularly vivid cover painting. 36 pages packed with refernce that include unique interior images of the sole survivor in Italy during its lengthy restoration process. Another modelling'must-have' from Albatros Productions! Russian Naval Nieuports - part 3 with three unique colour profiles * Albree/Pigeon Fraser Scout - plans feature from Colin Owers includes 1:48 and 1:72 GAs * Fokker D.VIII repro' * Italian Nieuports and model kit reviews.